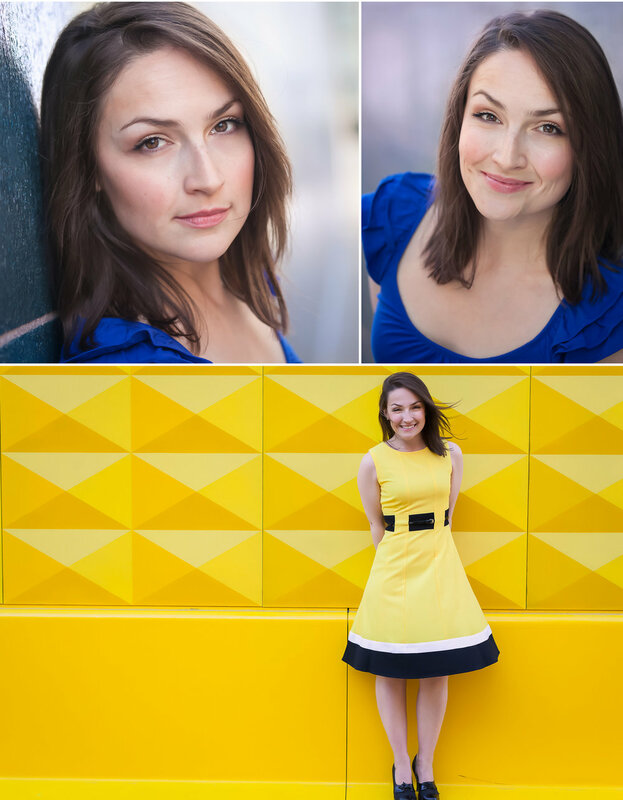 Don’t be fooled by her petite stature: this adorable woman is a fierce powerhouse of talent, warmth and inspiring confidence. To say I was impressed by her (and loved every minute of spending the day with her!) would be an enormous understatement. An Emmy Award Winning ISDN Voice Talent, Actor, Model and Host, she also happens to be downright delightful. My son (assisting on this session) and I thoroughly enjoyed touring her studio, learning about the work she does in her impressive custom studio, and basking in the purple and yellow glow of her home. Her personal branding photo session was divided into two parts. Part One fell into my initial career skillset of architectural photography. The goal here was to showcase her incredible, purple (I do LOVE a client with his or her own color!) custom recording studio. 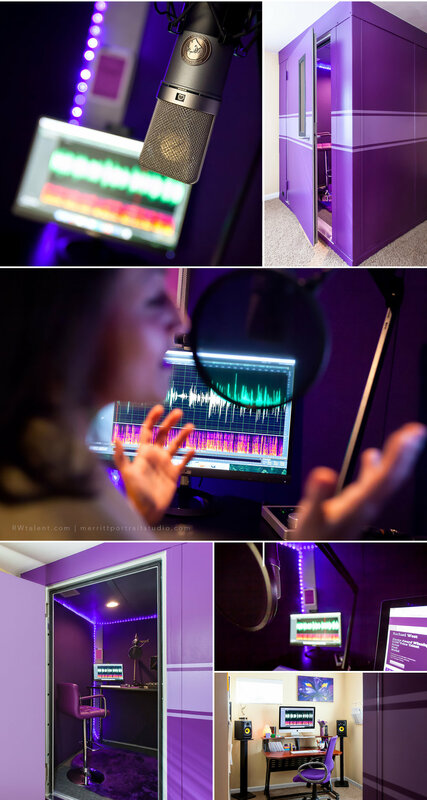 Her top of the line professional recording booth was designed to fit her home so she can record at any hour, without the need to work around others’ studio hours, as well as to meet the demands of her internationally based clientele. And this woman WORKS. Every detail has been addressed from technical to functional… and the cream on top? It is all designed to match her personal style. Part Two of her session was her personal branding, headshot and portrait session. Which, of course, was a blast! We spent a large portion of the session laughing as we wandered around downtown Denver seeking out the perfect backgrounds and colors to complement her wardrobe and coloring, finding a cohesive look to tie all of her photos together. All the while we enjoyed trading industry stories and getting to know each other.. I always love working with actors and talent who have had the opportunity to work with other photographers, as their perspective provides me with valuable feedback. I try to be as helpful as possible in communicating direction on a session, as well as showing my clients what I mean with examples on the back of camera to help them visualize what I'm getting. It was great to hear her articulate both during the session and afterwards, just how helpful that was on that side of the camera. Towards the end of the session, as the light slipped toward the warm and golden hour, we headed to one of my favorite spots in Denver and these photos are some of my favorites of this season. Warmth permeating not just in the quality of light, but captured in her adorable personality, expression, tone and character. Every time I meet someone with this quality of warm competence and confidence, I can see immediately that their clients must love working with them as well. What a treasure!! Thank you, Rachael, for reminding me again how fortunate I am that this work introduces me to such outstandingly talented people. You have inspired me and I'm grateful to know you! ABOUT THE PHOTOGRAPHER: I am a Denver based portrait photographer specializing in bringing out personality in my clients’ eyes while creating powerful, personal images. I want your photos to stand out and communicate more than your average headshot. 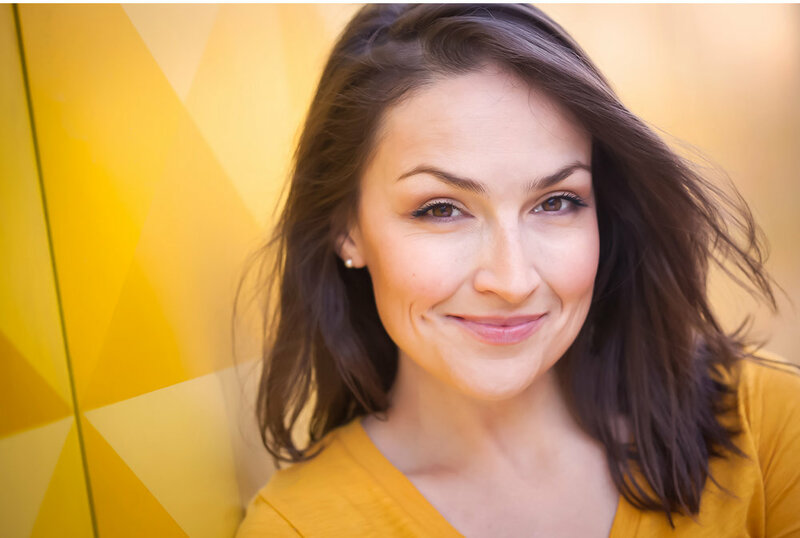 Comprehensive personal branding packages are custom styled around each client’s specific needs, and sessions are designed to be enjoyable and empowering And don’t worry, if you think you’re not “photogenic” -- it’s not your job to be photogenic. It’s my job to take great photos of you! I would love to chat with you about designing a couture professional branding session for you.